In the old times there was floppy diskette to transfer files, images, games even operating systems like Windows 3.1 . CDROM technologies arrived and an age is closed and new age is started. CD and DVD have more spaces to store all our stuff. But every good days have a end and USB sticks are common today. But we use CD format named iso, bin and img today too to transfer games and applications. We need to emulate CDROM Drives to use iso images. How can we emulated iso, img, bin and other formats. 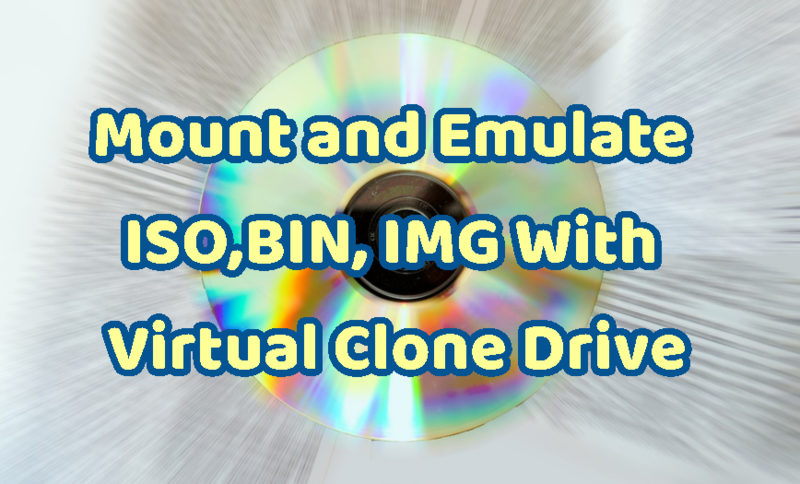 There is a free and powerful tool named Virtual Clone Drive. 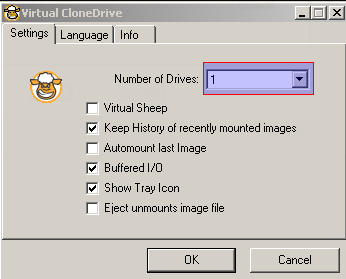 Virtual Clone Drive can be downloaded from one of the following links. Click to downloaded setup file and click traditional Windows Next and accept everything. Virtual Clone Drive has following features. As we see it supports wide range of image formats. It can emulate CD, DVD and Blu Ray Drives too. By default there will be only single virtual drive on the computer. But as its is virtual we can change the number of virtual drivers whatever we want and need. 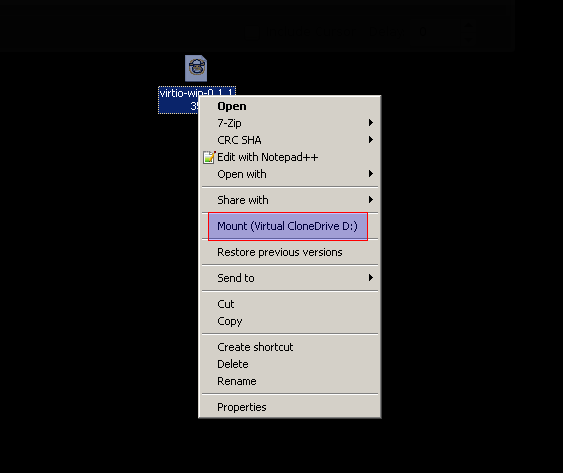 Just open Virtual Clone Drive from Program Files or Desktop Shortcut and change the Number of Drives combobox. We will mount iso file named virtio-win0.1.135.iso into our drive named D:. Just right click to the image file and select Mount from menu like below.